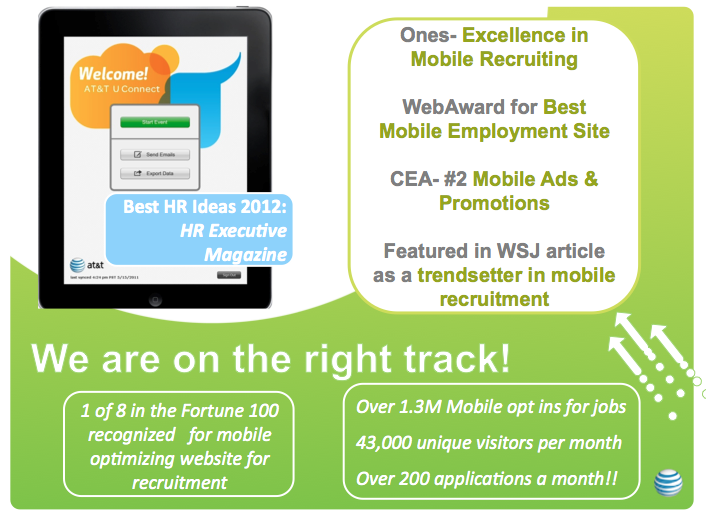 TalentCircles: A Platform for Talent Connection Solutions: TalentCatch: Increase your leads by 300% versus a vanity URL! TalentCatch: Increase your leads by 300% versus a vanity URL! At NACE, Jenn Terry, the Director-Staffing Strategic Initiatives at AT&T and Becky Parson, Sr. Project Manager University Relations discussed Mobile Career Fair Engagement, responding to an interesting question: How do we recruit at an event if we can’t collect paper resumes to ensure full OFCCP compliance? Should you spend fortunes in brochures? Yet, money will never be enough to respond to this question: How do we make the most of our face-to-face events while staying compliant? AT&T has adopted a proactive mobile approach with TalentCatch, an iPad app created by TalentCircles. 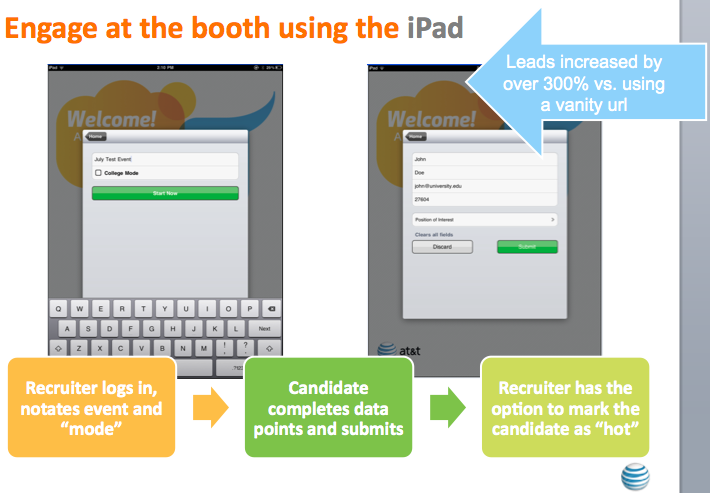 TalentCatch allows AT&T to sign up candidates on the fly. It's no wonder that the AT&T approach has been hailed so frequently over the last few months. Productivity pays off! The best buzz always comes from tangible results. Productivity pays off! 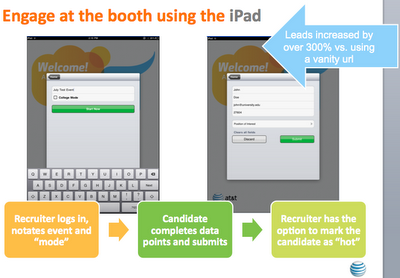 A fully branded TalentCatch app with custom fields can be yours in one day. No learning curve. So you can be up and running overnight. You start an event. New applicants enter standard fields (First name, Last name, Email, ZIP, Phone, Mobile) as well as any custom fields that you decide to include (job category, desired position, availability, etc.). We are speaking of less than one minute per applicant here. TalentCircles stores the applicants locally and syncs the data with the Talent Network server (and TalentCircles). But you can also operate offline and send all the data later. If you don’t have a Talent Network, you can export your applicant data as a simple Excel spreadsheet, and continue the conversation with applicants by email. Relationship-based hiring starts here! No business card. No resumes. 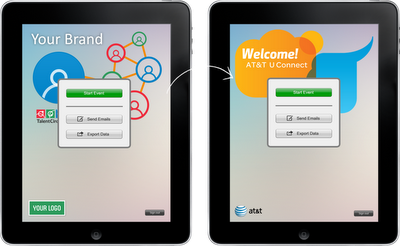 Just an in-person contact stored in a friendly and easy-to-use iPad app that bears your colors!